There’s setting trends, there’s following trends – and then there’s apparently flying in the face of fashion, which is usually either very brave or very dumb. I mean, look at the consumer electronics market: it’s simply stuffed with ‘me too’ products, showing a woeful lack of inspiration and an entirely risk-averse strategy. A company launches a smartphone, and before long we have a whole bunch of similar products from its rivals; someone decides that OLED TVs or 4K TVs or even curved TVs are the way forward, and guess what? As soon as one brand shows a prototype, the others do likewise. Even when something truly imaginative appears, such as the excellent Sonos multiroom music system, it’s not long before others are snapping around its heels, with similar products seeming to offer similar facilities, even if they don’t quite manage it as well as the original. Trouble is, in this confused and specification-driven age, it seems you need all the latest buzzword technologies aboard or you’ll get marked down by naïve commentators and reviewers unable to see beyond tick-boxes on a spec sheet and into real-world performance. Who cares whether or not it’s got an Octocore SnapLizard XZ1000 processor if the damn thing won’t last a whole day without needing recharging? Or won’t get a decent signal when you’re in the office or sitting on the bog at home (yes, apparently many people do)? Or doesn’t have a screen you can actually see in the hours of daylight? The answer, as at least some of the established hi-fi press discovered when we went down to Naim HQ in Salisbury a couple of months back, was that Naim is apparently just that kind of idiot. In fact – double slap of palm to forehead – not only was it still launching new amplifiers without digital inputs, it’d even taken its flagship integrated amplifier and thrown away the digital inputs it already had. Launching the new amplifiers – the £925 NAIT 5si, the £1595 NAIT XS 2 and the £2750 SUPERNAIT 2 – Naim boss Paul Stephenson explained the company was doing two things: one was turning its attention back to some of its core components, having spent several years developing its Uniti range of all-in-one streaming systems, and the ND line-up of network music players. The other was to take a simpler, more performance-oriented approach to the new products: the Unitis and NDs have done a good job of attracting new buyers to the brand, Stephenson said, but now the company had an opportunity to look back inward at products already in the portfolio. Of the three amplifiers announced at the end of June, I was especially keen to have a long hard listen to the SUPERNAIT 2, having run an original SUPERNAIT in my system, at first on its own and more recently with the addition of a HiCap power supply to feed its preamp section. Naim seemed to think that was a pretty logical request, so one of the first SUPERNAIT 2s arrived just a few weeks after the launch, and has now been in use for several weeks as my main amplification, both with and without the extra power supply. First, a quick look at how the SUPERNAIT 2 compares with the other two models in the NAIT range. All three use simpler circuit designs, and heftier transformers, than the models they replace, and all three have built-in headphone amplifiers with proper-sized headphone sockets on the front-panels – none of that 3.5mm nonsense here! While the NAIT 5si has a simple passive preamp fed into its power amp section, the NAIT XS 2 has a more conventional preamp section, a powered DIN socket to drive Naim’s phono stages, that power supply upgrade potential, and a Class A headphone amplifier. And so to the SUPERNAIT 2, and apart from the general dimensions and the volume and balance controls, it looks nothing like the model it replaces. That’s the new one above, and here’s the original SUPERNAIT. In fact, balance knob aside, it looks much more like a big NAIT XS 2, which is exactly in line with Naim’s thinking for the new range. Gone is the double bank of selectors for record and listen found on the old amplifier, replaced by a much more conventional single row (plus a headphone socket), and of course gone is the entire digital section of the old SUPERNAIT. 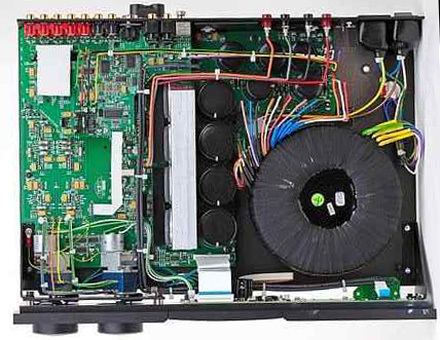 There’s optical isolation of the control circuitry, again to minimise interference, and the entire audio section is mounted compliantly, even to the extent of fitting sound-critical resistors above (rather than on) the main board, so their wire ‘legs’ provide damping. Extensive computer modelling was used to try elements of the layout at the design stage, enabling virtual testing of circuits without having to prototype them, but some things stay the same, including the compliant mounting of the Alps Blue Velvet volume and balance pots. To the uninformed, that could suggest poor build, in that the controls feel wobbly and loose: in fact, it’s all part of a strategy of minimising the amount of vibration able to creep its way thorough to the audio sections. So, elephant in the room: there’s no digital section. Huge mistake? I think not: I hardly ever use the digital inputs of the original SN, simply because they seem to have excessive gain, or at least a very high output level into the preamp. And that, combined with a volume control seemingly able to give all the level I ever wanted by about the nine o’clock position, or not much beyond, has meant a lot of caution was needed when switching sources. The new SUPERNAIT 2 is much more controllable in this respect, whether via the remote handset provided or using the system automation features available via Naim’s range of streamers. And talking of those streamers, they have digital inputs, so that’s that requirement covered off. Or you could use the Naim DAC. Or the excellent little DAC-V1. Or indeed any number of third-party DACs in a variety of shapes and sizes – I’ve been getting good results of late with the M2Tech HiFace DAC between my MacBook Air and the analogue inputs of the original SUPERNAIT. Or of course if you wanted an all-in one streaming/amplification solution instead of the SN2 and an ND-series network music player, you could always opt for the Naim SuperUniti instead. The SUPERNAIT 2 slid into the rack above the ‘old’ amp, enabling easy switches between them, not only of sources and speakers, but also between use with and without the external power supply. 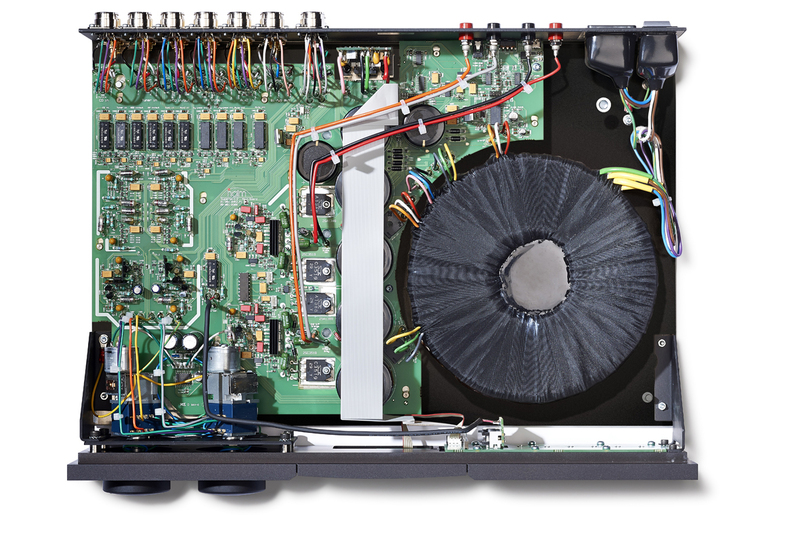 It’s arguable that a power supply should make as much difference to the SN2 as it does to the original, given that the new model already has a discrete regulator, as found in the latest Naim power supplies, for its internal preamp power supply. However, that’s an argument to be had later, for comparing old and new amplifiers in ‘unassisted’ form is already something of a revelation. It’s safe to say that I’m used to the sound of the original SN, so it was even more striking just how different the new amplifier sounds: bigger, gutsier and faster, agreed, but also with greater delicacy and finesse, proving that pace and crisp attack needn’t be at the expense of weight and solid low-bass punch. Playing bass-heavy dance music, the Naim is capable of pounding out the rhythm with metronomic sledgehammer blows and, provided your speakers can hack it, is more than able to drive the room hard without ever suggesting things are just going to tumble into a background blur of boom. Instead, with music like this and driving piano trio jazz alike, the Naim lets the bass provide the engine-room for the music, then layers the rest of the recording on top in entirely natural fashion. Listening to some of the last recordings made by jazz pianist Bill Evans, with his final trio in September 1980, the ability of the Naim to put you in the heart of a live event – at least, when used with a fine source component and good speakers – is magical. For those who suggest there’s no such thing as a ‘soundstage’ – and yes, there are some –, then this is what you’re missing: the ability to ‘see’ the performers arranged before you, both between and beyond the speakers, in both the lateral and depth planes. I used several sources with the SN2, from the little Fiio X3 player running in via analogue connections to the M2Tech DAC and my Macbook, plus a Naim NDS/555PS combination, with speakers including my usual PMC OB1s and some forthcoming floorstanders with some innovative technology (to be the subject of a future review), with cabling from Audioquest, The Chord Company and Naim itself. In each combination, the SUPERNAIT 2 gave an excellent account of itself, or rather didn’t – this is a highly-revealing amplifier, but not a characterful one, instead just getting on with the job of showing you what the rest of your system is doing while delighting with the lack of effort with which it appears to be doing so. It will drive speakers to silly loud levels, and still keep hammering out everything from jazz and rock bass to orchestral big fiddles and percussion with no sign of confusion, while at the same time giving excellent insight into the finer details of what’s going on in the rest of the band. So that’s going to confuse those who think Naim amplifiers have a ‘sound’, isn’t it? In fact the only sonic characteristics I can ascribe to the SUPERNAIT 2 are those revealed when you harness up the HiCap power supply to deliver juice to the preamp, at which point the music takes on just a shade more sparkle, and there’s even greater insight into the recorded space and ambience, and slightly sharper focus to the way performers are placed in it. Without that extra clarity, you’d never notice that the unassisted amplifier sounds only a shade cloudy by comparison. Of course, all this is an illusion, and just the ears playing tricks on the brain: I mean it’s not like adding a power supply is moving recorded elements around between the channels, is it? That’d be silly, just like the suggestion two speakers could create a three-dimensional image of a performance, wouldn’t it? As I said, it’s all about stereo, and what’s achieved when an even better power supply is added is a slight clean-up – which, by the way, is much more subtle than that obtained by adding the same power supply to the original SUPERNAIT – to make it even easier for the illusion of depth and space in the original recording to do it’s stuff. There’s nothing being created or added here: instead, you’re just gaining the wherewithal for the recording – any recording – to do its stuff and work its magic. Feed a rubbish, compressed, ‘made to thump out of two speakers with maximum loudness’ recording through the SUPERNAIT 2, and guess what? It’ll sound rubbish and compressed for as long as you can bear to listen to it – which hopefully won’t be too long. However, play a high-quality recording through this amplifier and on to some fine speakers – and fortunately there are a lot of very good recordings out there, from vintage straight-to-analogue stuff all the way through to current state of the art high-resolution digital – and you can hear just what the Naim engineers mean when they explain what they were trying to achieve with this amplifier. The time I have so far spent with the SUPERNAIT 2 has coincided with the luxury of being able to wake up, sip a cup of coffee in the garden and have nothing more to worry about than what music to play first that day – and I have to tell you it’s been an absolute joy throughout. Apologies to the neighbours, but the weather has been warm and thus the windows open; I hope they’ve enjoyed at least some of the music floating on the air throughout the house in the last month or so – I know I have. Yes, I guess I could have made use of the excellent headphone amp fitted – and indeed have, under sufferance for some late night listening, with fine results – but this is an amplifier at its best with some good speakers and filling a room with music to be enjoyed as a social pleasure, not an always slightly dodgy-feeling solitary one. So then – and assuming Naim hasn’t managed an Apple-like ‘here’s the new one; what old one?’ trick, and there are some original SUPERNAIT amplifiers still in the retail chain, maybe at decent prices – the question is this: should you buy old or new? In the blue corner, separate record and listen selectors, AV bypass if you can remember the Masonic sequence of button presses, digital inputs and yes, if you squint real hard it looks a bit like a NAC 552. In the red corner, there’s the SUPERNAIT 2, looking for all the world like a NAIT 5si to which a footpump has been applied, complete with its (intentionally) wobbly knobs – and just sheer sonic magnificence as soon as you start using it. 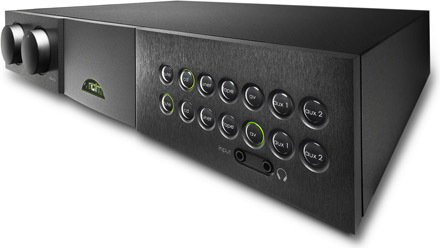 Unlike most Naim products, this one wasn’t ‘eagerly anticipated’ or ‘long awaited’: we just went down to Salisbury, and there it was alongside its junior partners in crime, sprung on an audience probably expecting a more affordable streamer or one without a DAC or something. So there goes the ‘it was worth waiting for’ conclusion you usually read on reviews. Instead, the SUPERNAIT 2 is just what it is: a superb integrated amplifier for those who want serious performance without going down the pre/power route. And now I’ve got used to its simplicity, simply the best all-in-one Naim amp I’ve heard. Really enjoyed your writeup and as a new SN2 owner myself, I agree completely. Fantastic amp straight from the box with the potential to get even better when fully run-in. Cheers! Have you heard / considered the Teddy Pardo power supplies instead of the Naim ones? They get very good write ups and are about 1/3 of the price. I appreciate the realities of a commercial world and that the question may be a sensitive one, so diplomatic answer is fine 🙂 Thanks. Just upgraded from Supernait/Supercap DR to Supernait 2/Supercap DR (with a lot of help from your review, thank you), first two listenings was Brahms Sym 4 and Sinatra in his early 40s. They both swing in their own way, but the ‘2’ puts real SCHWING! into the swing. 40th anniversary product indeed! Phew! Glad it’s not just me, then… 🙂 Glad you’re enjoying, and thanks for kind words. I think that you also lose an analogue 3.5mm input socket moving to the Supernait 2 which I find handy for connecting some devices on the original Supernait. An interesting comparison might be to the Supernait 1 with the Hicap DR as I assume that this effectively upgrades the pre-amp section power supply on the original Supernait to better than a bare Supernait 2. Admittedly the power-amp section will still be upgraded on the Supernait 2 but perhaps the difference in sound quality narrows. Indeed you do lose the front-panel analogue input – not having ever used it on my original Supernait over a couple of years, I can see how I missed that one. I did do the SN1/HiCap DR vs SN2 comparison, and preferred the latter for its focus, directness and sheer involvement – but then found the SN2/HiCap DR to sound even better than the ‘bare’ SN2. Looking to start my hi Fi obsession early at the age of 22. Would I be correct in thinking you could pair up a NDX STreamer and the Supernait 2 and that would be all you need? Yes – well, apart from speakers and something to stream from (a computer or NAS on the same network as the NDS), of course! In fact that’s just the kind of system I’m running at the moment – except I’m using an NDS/555PS, instead of the NDX, into the SN2. Yes, aside from the speakers; cable and NAS. Can you recommened what NAS drive to go to and how you rip your CD’s and the best means for streaming the music in the optimal quality? I’ve had good results using QNAP NAS units loaded with WD Red drives, but the new WD My Cloud EX4 looks very promising, too. I use a Naim UnitiServe for a lot of ripping, or sometimes a Samsung external drive connected to my MacBook Pro running XLD. And for streaming I either use MinimServer loaded on the QNAP NAS units, or the internal server in the UnitiServe. Speakers? Well, I’m using a pair of PMC OB1s, but I’d suggest you should have a listen to PMC’s twenty24s or twenty23s, the new Neat Motive SX1s, which I am currently testing for a future review, or the Focal Aria 926s. Hi Andrew, many thanks for the review about. A quick question if you don’t mind . I am 30 and just getting into audio and over the last 6months have been ripping my CDs to flac and downloading any great albums in high res that I could find in the hope to purchase a streaming hifi or dac and amp. My difficulty is which way to go ? Streaming looks good and have about £2000 to spend before speakers so do you suggest naim uniti or linn majik ? Of course the other option is good dac and good amp, there is just soooo much to choose from and am a little confused ! Any help or your options would be very much appreciated . I would suggest either of those systems would be a good way to go. Personally I would go for the NaimUniti2, but I’d certainly advise you to listen to both before making up your mind. Nice one. Still using one here, and still loving it. SN2 sounds fantastic with my Harbeth 30.1 speakers. Great synergy between these two. Had my SN2 w/SuperCap DR for 4 months now and upgraded speakers to PMC Fact.12 two months ago. Any concerns I had about the low efficiency of the PMCs was immediately assuaged by the awesome capabilities of the power amp section of SN2. Last year I tried the the HICAP2 with my old SN1. I found the added HICAP2 changed the sonic character of the SN1 making it sound bloated , bass heavy and rather strident. I’m very curious to find out if I will have better results with the HICAP DR partnered with my new SN2. I’m picking up a lot RFI with my new SN2. Anyone else having this problem? Hi, got the same RFI problem. Tried upgrading interconnectors but still bearing the humm. Did you sort it out? Hi Andrew – Really like your reviews, they are extremely insightful and helpful. Just wanted to get your views on my system and what’s now going through my head as a result of the SN2 review. I currently have NDX+XPS2 (non-DR) and NAC282+NAP200 and getting pressure to remove boxes as we are needing to relinquish some space. I am very intrigued by your set-up and just wondered if you could provide your thoughts about moving from my system to a NDS+555PS and SN2+HCAP DR. Any help will be appreciated. It’s what I use, and am very happy with it! 5) Run the Sony’s auto-calibration (or set channel levels, etc., manually) as usual. Hi Andrew, really enjoyed this review. I have SN2 connected to PMC Fact 8 through Chord Epic Twin cables and very happy with the investement. Now it’s time to upgrade the phono stage and thinking in Phono Box RS, Primare R32 and Creek Audio Wyndsor. Regarding the deck would probably go for a Project Extension 9 with Ortofon quintet black or Rega rp8/alpheta cartridge. I would appreciate your opinion, especially in the phono stage option. From my experience I would upgrade what was for me an overpriced not very good speaker the PMC Fact 8 fortunately I had a home demo rather than relying on the hopeless inaccurate reviews of this IMO total rip-off product, it looks good but thats it. They sounds terrific in my opinion and got them almost half price (about £3,000) so not that overpriced 😆, a lot better performance than B&W 804D I was going to get instead. Now it’s time for a phono, not gettind mixed up with other things. I know we do not agree on how amplifiers sound especially the Sony TA-A1ES however I would like to know how you find Supernait 2 sounds compared to the Sony. At present I am using the incredible Goldmund JOB 225 125 wpc 8 ohms they claim its the World,s Best small amplifier, I can not disagree its is superb best I have heard. No main stream reviews only 6 moons. How would you compare Supernait 2 and Arcam A49 which you highly recommended in your review? I like the power of the A49 a lot. But I stuck with the SN2, which probably tells you all you need to know. I had separate demos for A49 and SN2. My impressions were A49 produced better sound stage EFFORTLESSLY than A39, while SN2 delivered very refined, superb separation and wonderful ambience. It matched well with Spendor D7. I probably need to demo these amps side by side. I don’t need to play loud. A side by side demo is absolutely the best way to decide! I have had SN2 now for around 3 years (would have to look up to tell exactly). I have space problem for complete upgraded Naim separates but have upgraded the SN2 with Supercap DR and recently Chord Sarum Super Aray SNAIC cables. I am thrilled beyond telling with this, admittedly $20k, amplification system coupled with nearly 7 year old Naim HDX with Naim NDAC and 555PSDR power supply and PMC Fact 12. Sounds like a cool system: I’m currently running the SN2/HiCap DR as a preamp into the NAP 250 DR power amp, and listening via the Bowers & Wilkins 803 D3 speakers, which I am reviewing for a UK magazine right now. One scarily good set-up! sold my Arcam P49 power amplifier, much prefer a Class AB amplifier. The way the mains power input socket is so weakly attached on the P49 is totally unacceptable. Yes, I think you said. Yes, the power socket is deliberately decoupled, and the DIN sockets are very much still part of the Naim design philosophy. But if you judge an amplifier by the capacity of its transformer, perhaps all that is irrelevant! My amplifier is 20 years old and has never failed or tripped out,, I have compared it with many amplifiers and with various speakers over the years ,amps include Devialet, Krell, MacIntosh, Quad QSP, Platinum , Arcam P49 , Job 225,Bel Canto , Sony & many others my amp is the most satisfactory one for me. 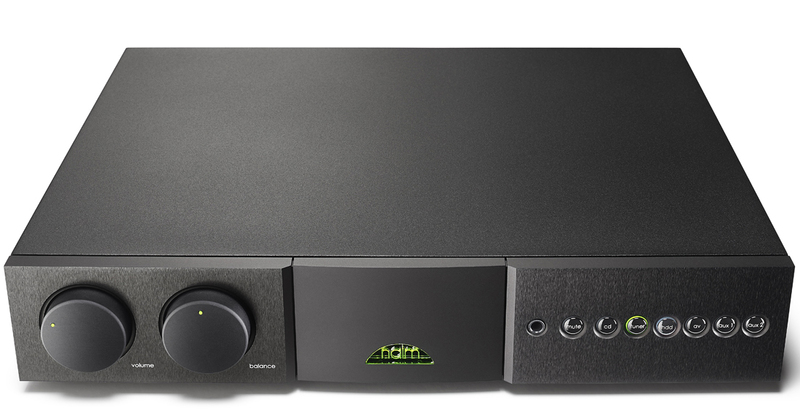 I have never liked the Naim sound,have not heard the Supernait 2 as it does not interest me. I find a decoupled power socket & DIN sockets a nonsense, apart from making quite a lot of money long time ago in getting a DIN to Phono connector designed.& marketed.thank you original Quad, Naim & others. Given that you ‘have never liked the Naim sound,have not heard the Supernait 2 as it does not interest me’ I’m not sure why you’re commenting at such length here. OK I may try out a Supernait 2 if I can get one on loan for a listen at Home.By the way can the pre be separated from the power section and what is the input sensitivity. Yes, by removing a jumper plug, as one does when using an offboard power supply with the amp; there’s also a switchable unity gain on the AV input. My experience after 3 years with SN2 is that it is revealing, both of the artistic expression present in the performance, and the abilities, or lack thereof, of the producer and recording engineer. Some recordings may sound harsh, no doubt. But, what comes out of an SN2 is exceptionally close to what went in, and in my opinion is what an amplifier should be about. I first read this excellent review a year ago and it inspired the purchase of a SN2 to partner with a Clearaudio Performance DC, PMC 24s and eventually the incredible Superline phono stage. Its provided some great entertainment so I am most grateful for the accurate review. Having read a lot of your articles it seems that you have been loyal to the Supernait for some time. I enjoyed your recent review of the NAP 250DR in HFN. Can you comment specifically on the SN2/NAP250DR combination that you set up? Is it a keeper or is it just a slippery slope to brain and brawn stacks of black boxes? Keep up the good work. You have a great perspective on how people enjoy their music. The SN2/250DR combination is working very well – SN2 powered by a HiCap DR. I guess at some stage I should investigate a preamp, although the SN2/NDS/555PS not surpisingly is outperforming the NAC-N 272 I tried, but with warnings from Salisbury that a new preamp would take a month or two to come ‘on song’, and a busy reviewing schedule, that will have to wait! Hi Andrew, what mains cable were/do you use on the supernait 2 ? The one that comes in the box! I’d definitely go for the SN2 if you can get a good price, and would suggest trying to borrow a HiCap DR to try with it to see what you think, or getting a with/without demonstration. I think it’s definitely a worthwhile upgrade – just make sure both the amp and the power supply have been run for a while before listening. Yes, the SN2 will work very well with the set-up you have, and your current cabling should be fine. Very interesting as I am in a similar situation; I have Spendor D7 and thinking about SN2 upgrade too. Looking forward to hearing back from Andrew. IME Naim components can take a couple of weeks at least to perform at their best: I know my very old Naim pre/power, which was serviced recently, took the better part of a month to come back ‘on song’, though I think some of the new products are a bit faster in this respect. I’d just make sure the power supply you try is a well-run demo device, and you should be fine. Please share with us your experience with and without HiCap, got a SN2 without it and sometimes got a bit of RF issues, since I have Clearaudio Basic+ phono preamp improved dramatically but still think can ger even better. Thanks and good luck with the buy! Aware of these third-party supplies, but haven’t tried them, I’m afraid. Hi Andrew just in reference to my original posts, I’ve been back on your advice, and had a listen with and without the HCDR and SN2, I was worried whether my ‘ears, hearing’ was up to distinguishing sonic differences, however I had a good 3 hour session and listened to a wide range of music from Sigur Ros to the Who and lots of genres in between. Well, there is a difference to my ears, subtle but audible. Using an analogy was like sitting in room with a smoker blowing smoke (SN2 naked) as opposed to sitting in a room without the smoker (SN2 and HCDR) I had a good listen and sound with the HCDR came together with all it’s parts in a slightly more cohesive way to my ears… cleaned up vocals, some more detail and separation across the sound spectrum and a touch more clarity (that’s my best effort to describe it) I need to say the SN2 naked is still incredibly musical and the differences are indeed subtle and if I’d never heard the HCDR I probably wouldn’t have missed what it brings to the music. However now I’ve heard it I do want one! It’s expensive but I’m trying to think longterm investment in the music as this will be my system now for very many years to come! As you said in your review Andrew, rubbish in rubbish out, and I noticed this with some poor quality CD recordings (no fault of the SN2) I would qualify my opinions/observations by saying all my listening was via CD… I’m just starting to get into Hi res streams via Blusound system. As I was listening the best recommendation I could give, echoing your own views, was at some points I forgot I was in a dealership auditioning and found myself lost in the emotion of the music tapping my foot and oblivious to my surroundings….Isn’t that what music is all about. I recently purshased a nac 282 (with basic power supply) and nap 200 (non dr version) on the used market to replace my combo Cambridge 851N and 851W. 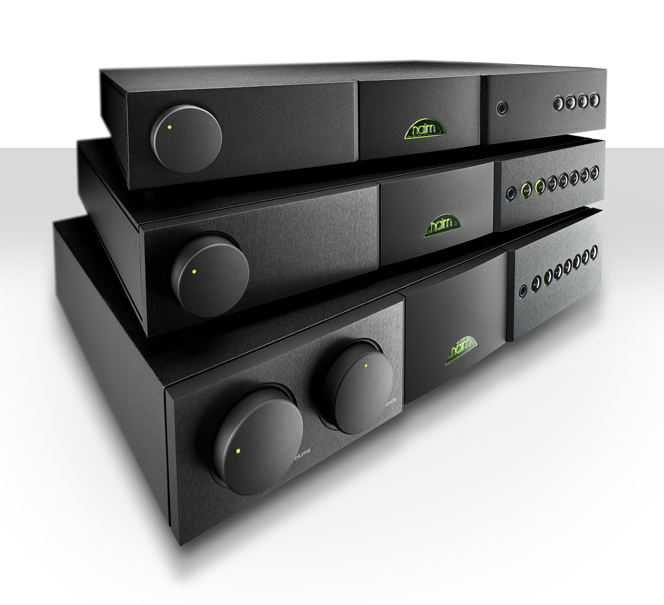 Both systems sound a bit different, of course, but I would not say that the Naim combination is better. I expected a huge improvement in sound because I thought that a kit 3x as expensive would sound remarkably better. ← Why are fanatics so fanatical?